Hopson’s shop, 7 & 8 London Road in 1907 soon after the road widening – note the recently planted tree. Until a few years previously these were two private houses and the shop was built out over the small front gardens. 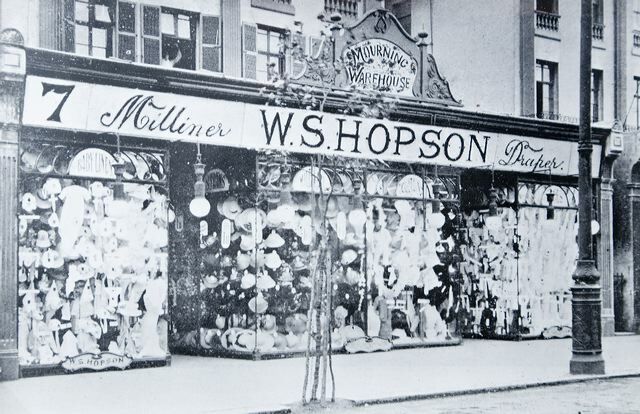 In 1936 Marks & Spencer took over the shop and it was rebuilt by them to its present form just a few years ago, also taking in adjoining premises.